The Kingdom of Bosnia existed in the 13th and 14th century as part of the Hungarian Crown Lands. 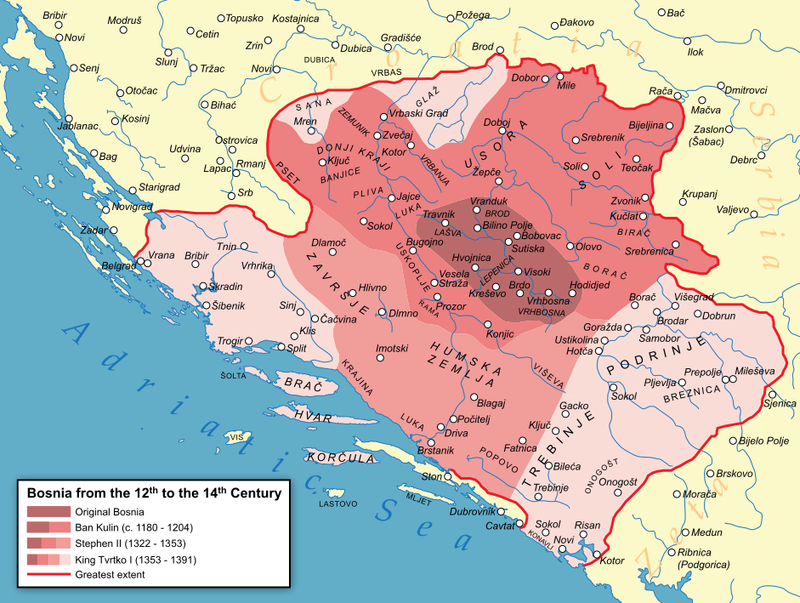 It evolved from the Banate (a province) of Bosnia which existed from 1154 until 1377. The Banate of Bosnia comprised of what is today Bosnia and Herzegovina, parts of Dalmatia in Croatia, Serbia and Montenegro. It was elevated to a Kingdom, and its first King was Tvrtko I of Bosnia. Tvrtko had ruled the Banate of Bosnia in succession to his uncle, Stephen. Tvrtko had married Dorothea of Bulgaria in 1374. 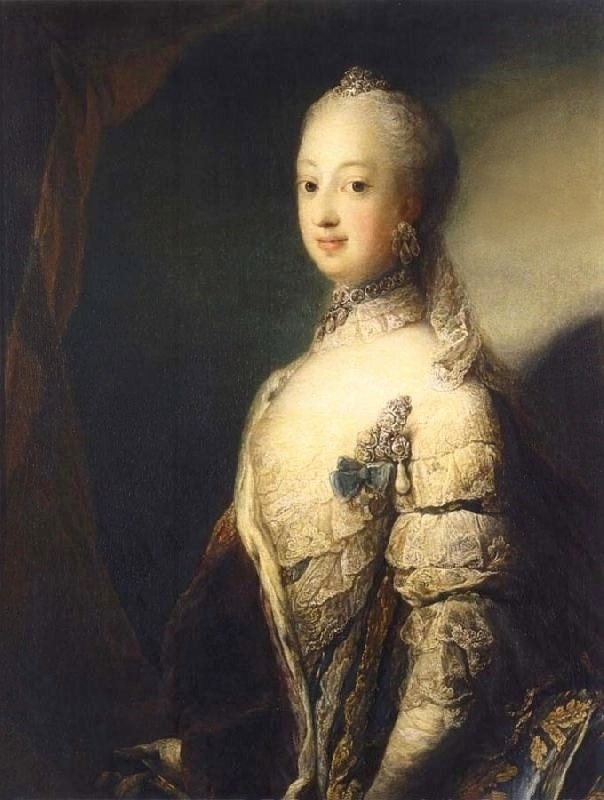 She had been held hostage by King Louis I of Hungary, who forced her into marriage with Tvrtko. 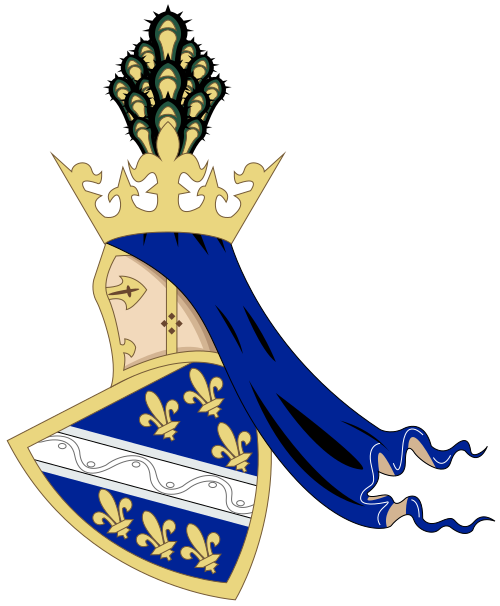 Dorothea became the first Queen of Bosnia when Tvrtko became King in October 1377. Tvrtko had a son, the future Tvrtko II but it is unclear if Dorothea was his mother. Dorothea died in 1390, followed by Tvrtko I in 1391. His son was presumably too young to rule, and an older relative named Dabiša was elected as King. He ruled for just four years until his death in 1395. Dabiša was succeeded by his widow, Helen of Bosnia but she was deposed in 1398. Helen was succeeded by Ostoja of Bosnia, who was most likely an illegitimate son of Tvrtko I. Ostoja was married three times, firstly to Vitača, secondly to Kujava Radinović and thirdly to Jelena Nelipić. He had at least three children. In 1404, he was deposed and replaced by his (presumed) brother Tvrkto II of Bosnia. He fled to Hungary. Tvrkto II ruled for just five years, before being replaced again by Ostoja, who then reigned until his death in 1418. He was succeeded by Stephen Ostojić of Bosnia, his son from his second marriage. Stephen Ostojić never married and reigned for just two years. He was deposed in 1420 by Tvrtko II who had the support of the Ottoman Empire. He is last mentioned alive in 1421. Tvrtko II was probably married during his first reign, but the name of his wife is not recorded. In 1428, he married Dorothy Garai, a Hungarian noblewoman. They probably had a child who died in infancy. Tvrtko II reigned until his death in 1443, and he was succeeded by Thomas of Bosnia, who was an illegitimate son of Ostoja. 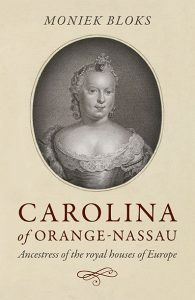 This did not set with one of the leading magnates of the country and began a civil war that only ended when Thomas repudiated his first wife, Vojača and married Stjepan Vukčić Kosača’s daughter, Catherine of Bosnia. He had children by both his wives. He died in 1461, and he was succeeded by his son from his first marriage, Stephen II Tomašević. He had married Maria of Serbia in 1459. His reign was to be a short one as he was captured and executed by the invading Ottomans in 1463. 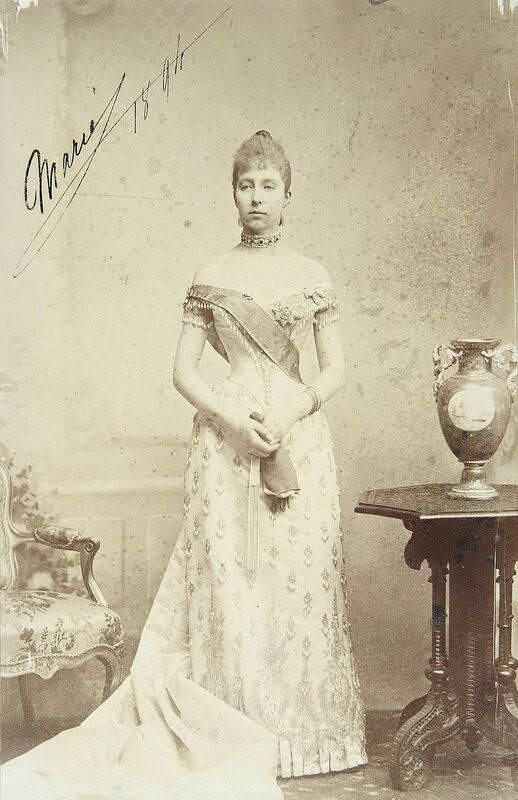 Maria managed to avoid capture with her mother-in-law Catherine and spend years wandering. She died circa 1500. Catherine spent her last years in Rome and died in 1478. The Kingdom of Bosnia ceased to exist and became part of the Ottoman empire.